What's New For The 2019 Audi A4? The 2019 Audi A4 has been given a refreshed look. Audi made slight changes to both the front and rear bodywork of the car to make it even more appealing on the road. The front bumper carries a different shape while the rear bumper houses two dual exhaust outlets. Audi hasn't made changes to the interiors or engines of the 2019 A4 models. 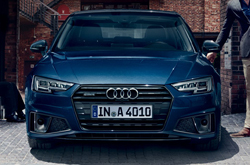 Which Features are Available on the 2019 Audi A4? Three trims are available for the 2019 Audi A4 lineup: The Prestige Sedan, the Premium Sedan, and the Premium Plus Sedan. Each of the trims has their quattro variants, which includes an automatic transmission rather than a manual. 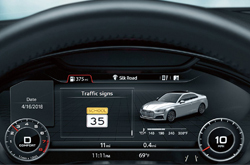 The infotainment system of the 2019 A4 can be viewed through an 8.3-inch screen. A variety of 64 gigabyte SD card slots are located in the A4 Prestige. Additionally, the A4 Prestige offers Bluetooth® connectivity, voice control, and adaptive cruise control. 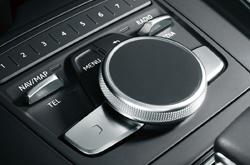 A Bang & Olufsen sound system releases the sounds of the infotainment interface. The 2019 Audi A4 comes with two separate engine options. Both engines are turbocharged 2.0-liter inline-4 cylinder engines. The most standard 2.0-liter engine produces 190-horsepower and 236 pound-feet of torque through a manual transmission. The upgraded 2.0-liter engine produces 252-horsepower and 273 pound-feet of torque. Though both engines have similar top speed figures, the more powerful engine is able to reach 62 miles per hour nearly 1.4 seconds quicker. The manual transmissions of both engines can be traded for an automatic transmission in the all-wheel drive quattro versions of each trim. The two A4 engines are powered by premium-unleaded gas. The 2.0-liter engine of the Premium A4 is capable of achieving a combined 31 miles per gallon. The A4 Prestige 2.0-liter engine has a slightly decreased fuel consumption average of 27 miles per gallon. The 2019 Audi A4 comes standard with dynamic stability control (DSC), an anti-lock brake system (ABS), and traction control. These three safety features ensure that the A4's wheels can stay planted to the road under any surface condition. Electronic stability control (ESC) is offered on the A4 quattro trims. ESC is combined with the all-wheel drive system of the quattro to electronically control braking inputs and help the A4 regain traction under slippery conditions. Torque vectoring is also utilized by the quattro's ESC system. Torque vectoring ensures that the A4 quattro is able to complete a consistent line through a turn. There are numerous airbags located around the interior of the A4. These airbags are both driver adaptive and dual-stage for the front passenger. During an airbag-inducing accident the airbag system is capable of releasing up to 10 airbags to reduce the force of the impact. For more information and to take a test drive of the 2019 Audi A4, visit Audi of Springfield today! Purchase prices do not include tax, title, license and $199.00 admin fee. Prices include the listed rebates and incentives. Please verify all information. We are not responsible for typographical, technical, or misprint errors. Inventory is subject to prior sale. Contact us via phone or email for more details. 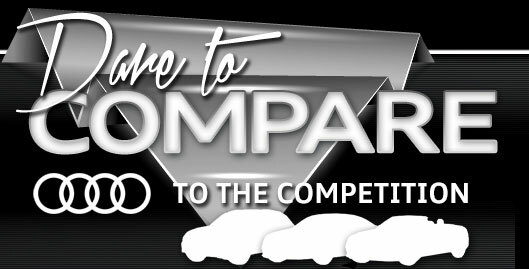 *MPG Based on 2019 EPA mileage ratings. Use for comparison purposes only. Your mileage will vary depending on driving conditions, how you drive and maintain your vehicle, battery-pack age/condition, and other factors.